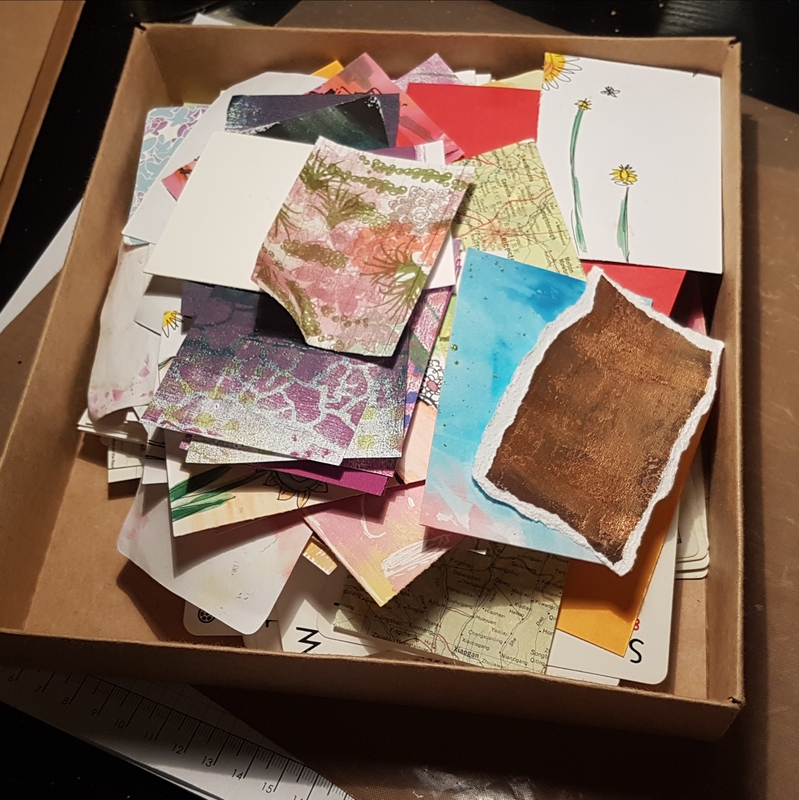 So this year I hadn’t set myself any crafty challenges and wasn’t going to… but then in a Facebook group I am part of (mini marvels) Chris challenged us to altering 52 playing cards using mixed media. No other rules although she may give us a prompt to use if we want it. So just over a week late here is my first card. 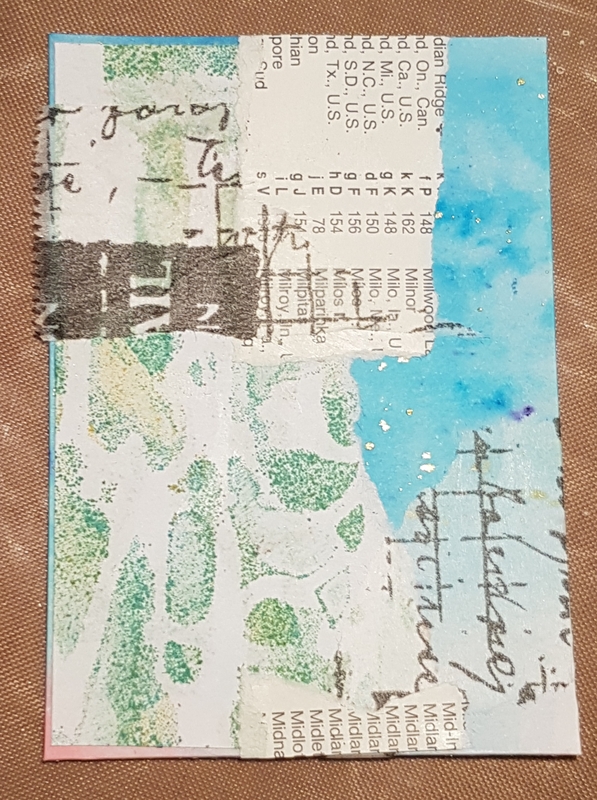 I decided to not use playing cards but instead use up the stash of random papers and cards I had cut ready for ATCs and Chris had said we could do this instead! So here is the box full of bits and bobs ready cut to size and in some cases half made ATCs I never finished. So in addition to the one a week challenge… I am challenging myself to use up what’s in this box! A base made from a scrap of brusho background. Some gelli print scrap, some book print from an atlas and Tim Holtz tissue wrap. Already pretty mixed media! I had no plan at the beginning and just enjoyed the play to be honest… it was nice playing with paint for the first time in ages and just creating. 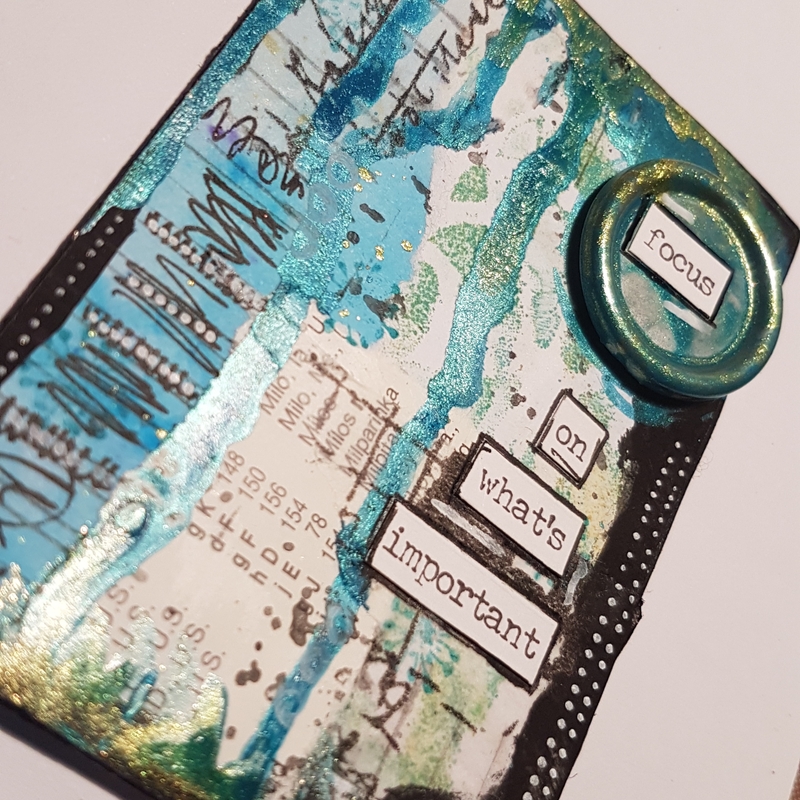 I used black gesso, art alchemy metallic paints and sparks paints, pen and also added the metal frame brad embellishment which I have had in my stash for more than 12 years! Never found a use for it before! Now I have! 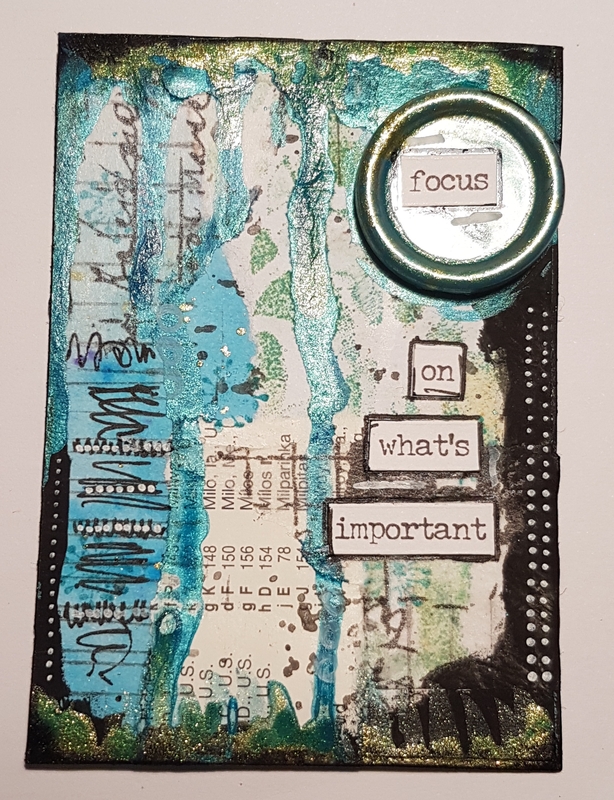 Finished with some doodling and the Tim Holtz sticker sentiment. Loved making this and the sentiment really helped me focus my mind tonight. Exactly what I needed!